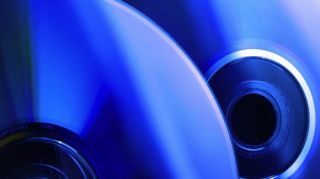 The Blu-ray Disc Association has yet to officially announce the arrival of 4K Blu-ray discs, but a manufacturer has revealed they are already being made. In the same week that the BDA told TechRadar that an announcement on 4K Blu-ray was imminent, disc creator Singulus has revealed on its website that it is one company that is "provides the machine technology for three-layer Blu-ray Discs with a storage volume of about 100GB." The machine in question is called the BLULINE III and confirms that we won't be looking at another format war when it comes to bringing 4K content to the home. 100GB is capacious enough to house a 4K movie, the only question that remains is whether current Blu-ray players will be able to play the discs, presumably with some sort of firmware update to read and playback the content. And then there is the problem of encoding. According to HDTVtest, the current H.264/AVC format may well work with discs of this size, but it is more than likely that the H.265/HEVC codec will be used as some 4K televisions at the moment do house these decoders. While the trickle of 4K televisions coming to the market at the moment are still very expensive, it's great to see the problem of getting 4K into homes being addressed. Blu-ray won't be the only way to get content, however, with the Sony Video Unlimited 4K service and Netflix demoing 4K content, streaming will also be another way. But, with bandwidths as they currently are, a physical disc may well be the easiest and best way to get 4K content delivered to your shiny new television.